With a passion for rich and evocative detail, Robert Kanigel takes us from the temples and teeming slums of Madras to the courts and chapels of Cambridge University, where the devout Hindu Ramanujan, "the Prince of Intuition", tested his brilliant theories alongside the sophisticated and eccentric Hardy, "the Apostle of Proof". In time, Ramanujan's creative intensity took its toll: he died at the age of 32, but left behind a magical and inspired legacy that today is still being plumbed for its secrets. ©1991 Robert Kanigel (P)2007 Blackstone Audio Inc. This book explores (1) the influences of South India on Ramanujan's development, (2) the influences of the British educational system and society on GH Hardy and the other English scholars with whom Ramanujan met and worked and (3) the effects of those different influences on both Ramanujan and the English, personally and professionally. 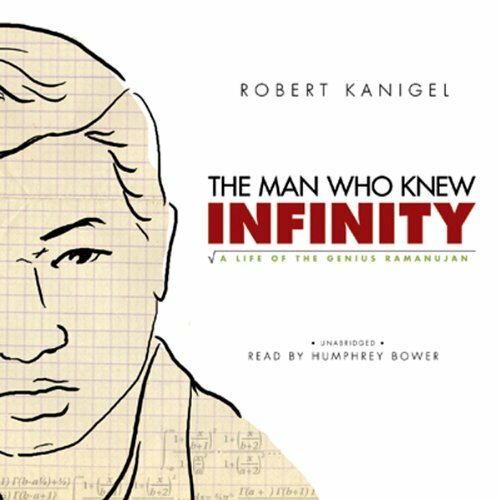 Mathematical achievement is at the core of Ramanujan's story, and Kanigel does a good job of integrating it. A vague memory of high school math is required of the listener, and Kanigel uses that basis to explain both the directions and importance of Ramanujan's work, without trying to explain the specifics. The technical discussions are woven into the story, and do not at all get in its way. While the book celebrates Ramanujan's improbable rise to success, overcoming tremendous obstacles, it also examines those obstacles, created by the British Raj and unfortunately persisting into the post-colonial Indian educational system. While decrying the failings in Ramanujan's formal education, Kanigel also speculates on whether the broader South Indian culture, particularly the flexibility within Hindu religious traditions, allowed Ramanujan to approach mathematics less rigidly than could his English colleagues. No answers are attempted, but his questions are profound. I don't write very many reviews but this book encouraged me to write one. 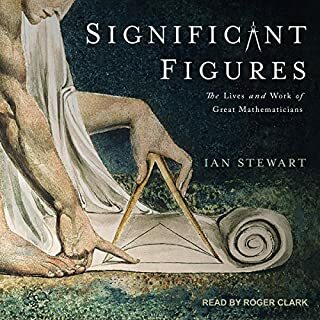 Its hard to write a book on Ramanujan without the mention of mathematics but the author does a wonderful job to not put off non mathematicians while listening. One can appreciate the profound activity without getting into the details. The nice thing to appreciate, other than Ramanujan's work is also the leadership shown by Hardy. The English mathematician could recognize and appreciate the genius in the man without any pride especially after other senior mathematicians like Baker and Hobson failing to do so. I wish we have more of such leaders in today's world who can recognize talent and encourage it. Think about the thousands of Ramanujan's that exists in this world today but go un-noticed cause they have not found their Hardy or vice versa. On the other hand its amazing to see that such a gifted man was driven to a point in his life so as to contemplate suicide. The man not only suffered from tuberculosis but also the usual mother-in-law daughter-in-law conflicts that has plagued the society for centuries now. May be the world just does not deserve to have the gifts of such a genius. Just unfortunate he did not live long enough. The book is quite long for me but thoroughly enjoyable. Finally! A biography for Srinivasa Ramanujan! I've been waiting for this book for over 30 years. 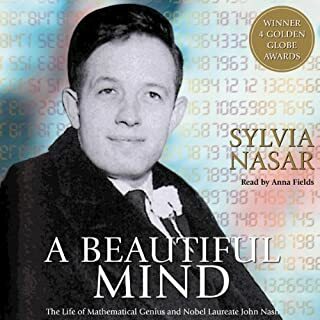 Every math major knows the famous anecdotes and the bare outline of his life, but to finally get to read about him in detail is so much more satisfying. Was he being used by the English establishment? Did moving to England cost him his life? These are questions that remain ambiguous. That he could have been more actively sponsored in his new home is unquestionable. That his choices contributed to the sort of benign neglect he suffered becomes a little more clear. This was clearly a guy who needed an active mentor, but who also pretty much got to do what he wanted. That critical balance between intervention and self-determination is at the core of this story. However, given that this is biography, that issue is left mostly to the reader to contemplate alone. The author's job is to show us what happened and leave us to draw our own conclusions. 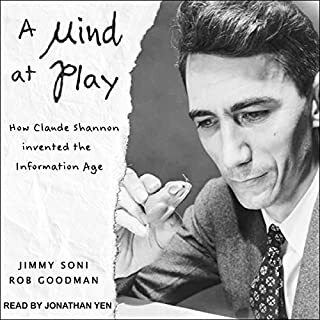 Listening to a book that includes math can be frustrating. The few math examples in the book can hardly be understood by having someone try to read out the complex equations. We are left with a kind of general idea of what those equations are supposed to convey. 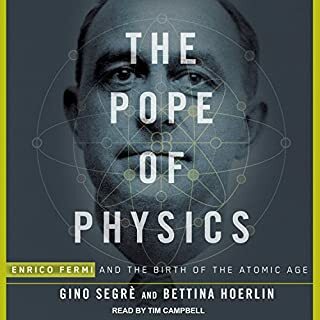 If his math is your primary interest, this is probably not the book for you, or at least the audio version is not for you. A biography of course should deal with a person's life, and here also despite Kanigel's best efforts the inner Ramanujan remains an elusive character. However, it's the best we have. A great man, no one knows but a great story! What made the experience of listening to The Man Who Knew Infinity the most enjoyable? This story is about a mathematician, a profession which very few understand, and fewer understand the impact on their own lives and livelihood. What was one of the most memorable moments of The Man Who Knew Infinity? Ramanujan formulas for reality and infinity, and to stop the audio and think about it for a day, before replaying the chapter and understanding the depths of this mans mind. The presentation was better then good, clear and understandable. The last chapter, to understand how this man has changed the core of society throughout the earth, but not changed is own country. There are moments, when mathematical formulas are read, which need to be repeated several times to understand. Very enjoyable book. 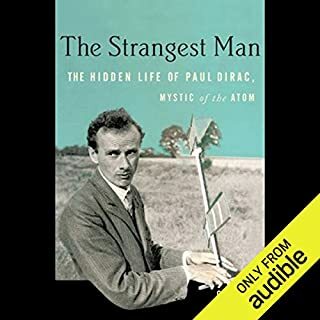 One of the best if not the best audiobook I've ever listened to. Very highly recommended to anyone, independent if you like maths or not. The Good: This is a terrific book. Kanigel's biography of both Ramanujan and his friend and patron GH Hardy is filled with wonderful detail. He does an admirable job of conveying a sense of the complex mathematics Ramanujan worked on. He seems to do a pretty good job in conveying the complex life and death of this amazing mathematician. The bad: The narration is awful. Humphrey Bower is Australian(!!!!!) This means he mispronounces all the Indian names and words *and* the British names as well. 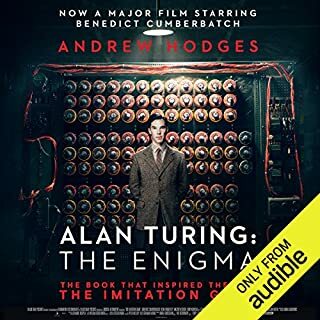 This was a staggeringly poor choice and it makes this great book difficult to listen to. An Indian reader would have been way better- or even a British one. What did you love best about The Man Who Knew Infinity? The detail and narration makes you feel walking with the life of the Genius. The associated cultural context was well described. Rags to Intellectual riches story and highlighting the intuitive genius overcoming the knife-edge slip into oblivion and fighting against odds with the help of available opportunities - ia amazing. Ramanujan of course - especially reading of the letters was amazing. A thorough and captivating biography of Ramanujan! Very well written and read. A bit too long, as it covers the biography of GH Hardy as well. But, it is more than made up by the interesting writing style, detail and presentation. I loved it!!! My favorite mathematician, Srinivasa Ramaujan. The story goes in great detail about his life and work. If you watched the movie, them get prepared for the entire story. It's a Shame that the movie couldn't fit a lot of this stuff in, but, it's easily a book I will not forget. If you love mathematics, you will love this book.